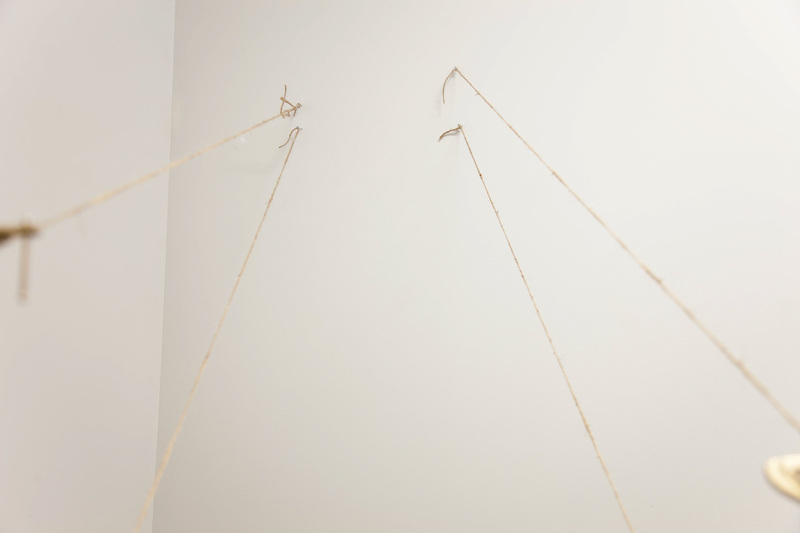 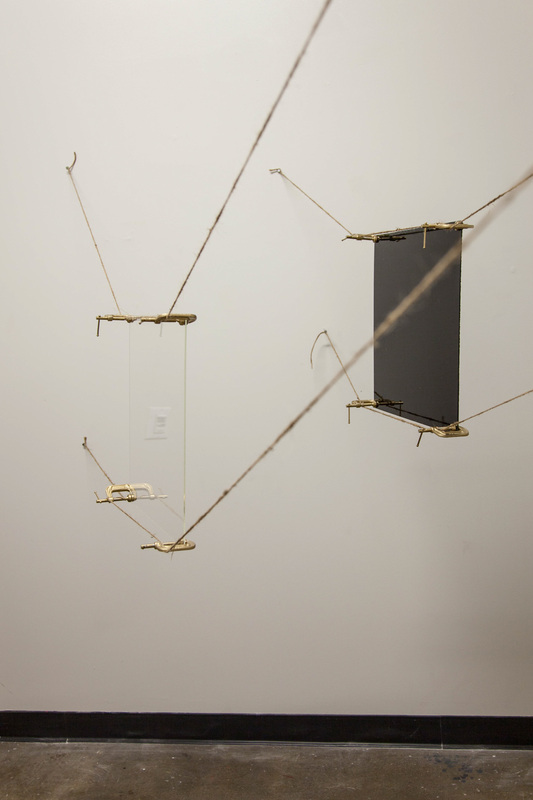 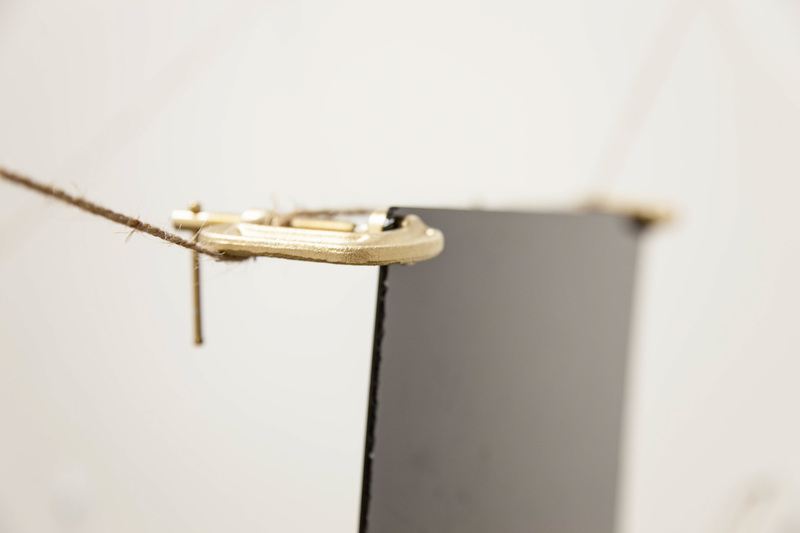 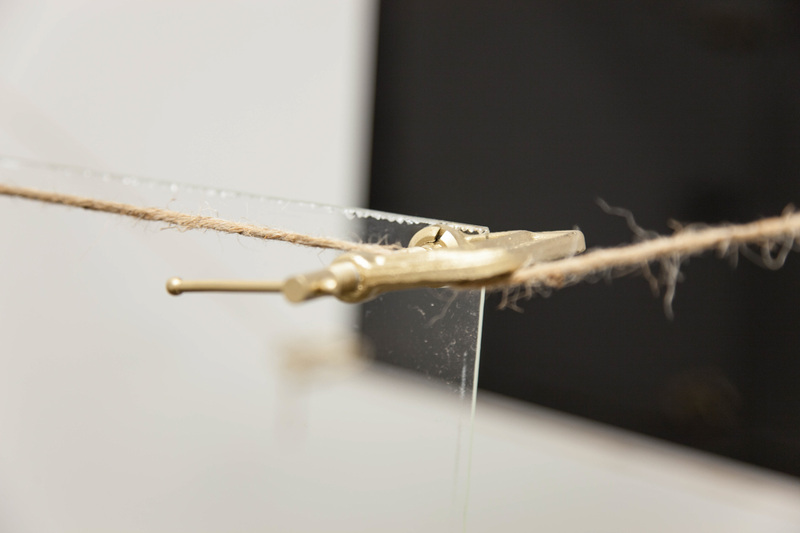 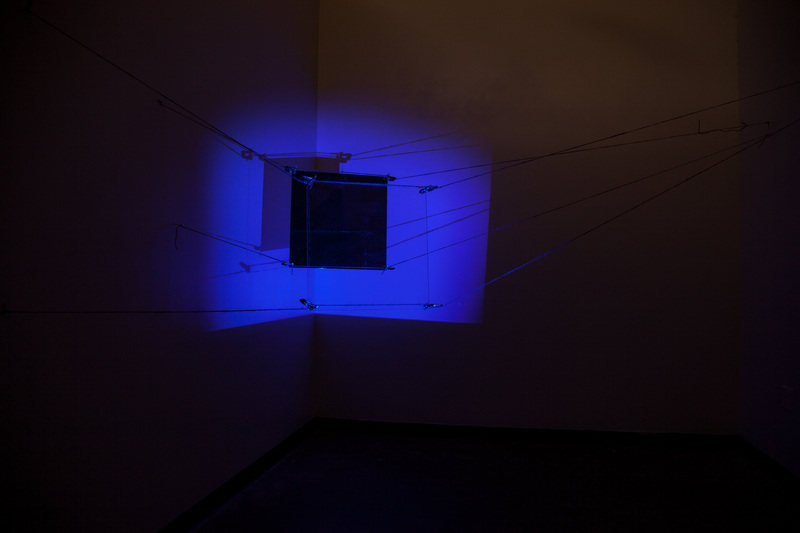 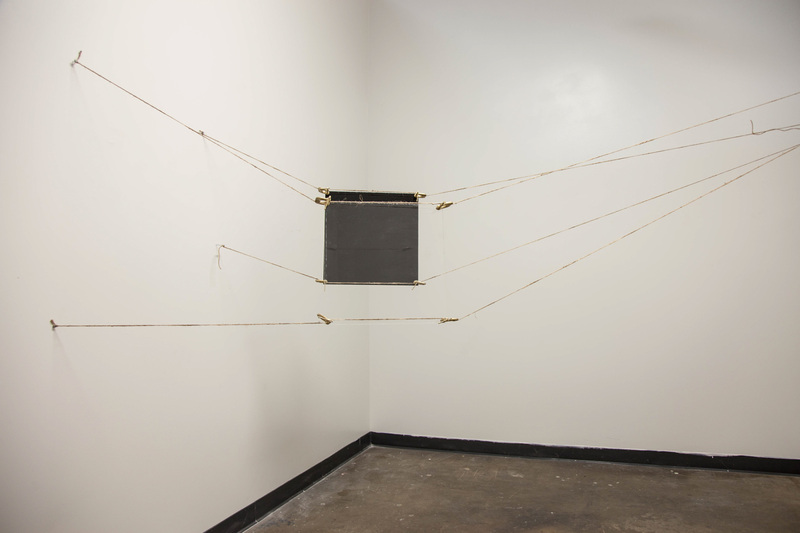 Two square planes, one clear and one glossy black paint, suspended by tension from which nails affix twine to the wall. 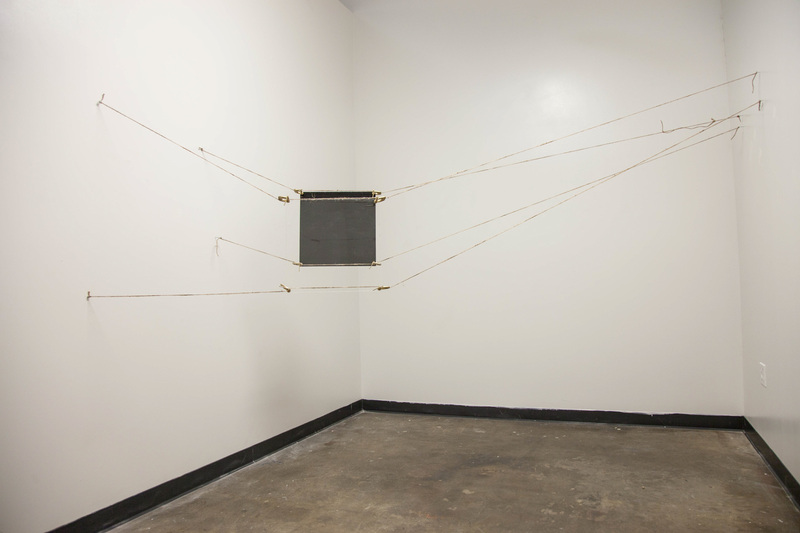 Painted gold clamps grasp each corner, as twine slips through. 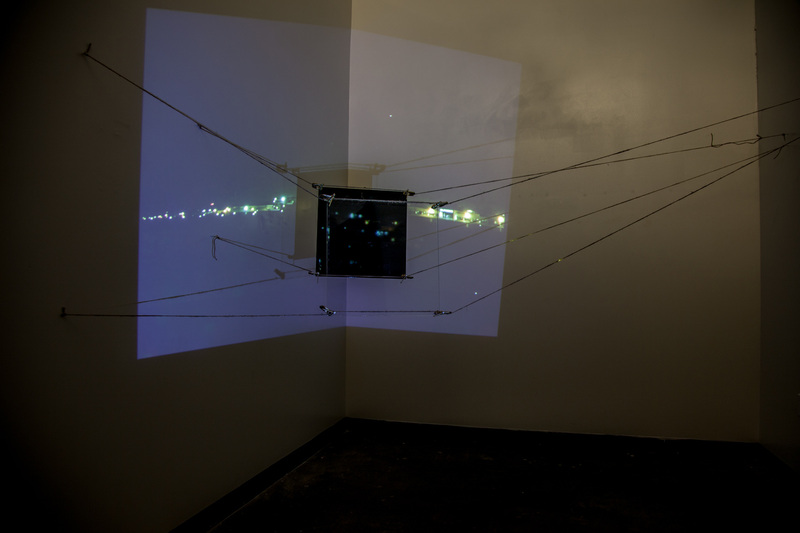 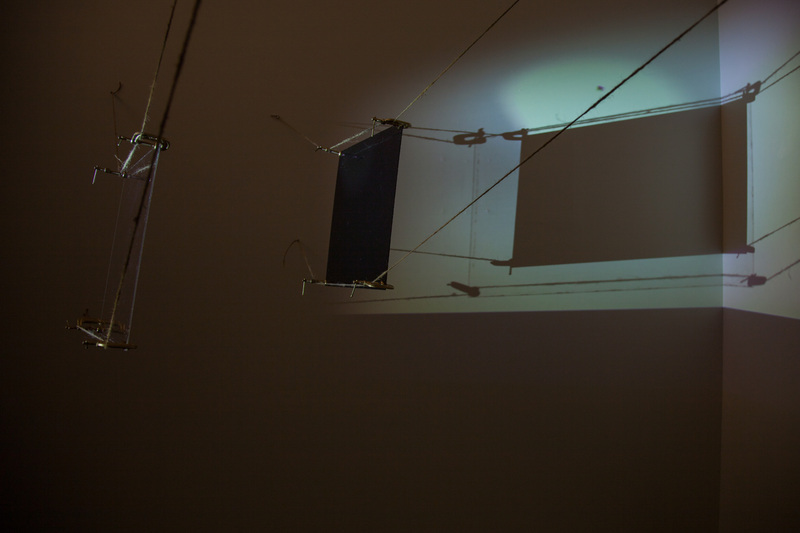 A projection of light passes onto, through, and around the planes as a meditation on words written by Kafka, “We photograph things in order to drive them out of our minds.“ In a single-reflex system, such a quote appears articulated from observable reality, as each configuration assigning a new variable, shows the limits of such a system. 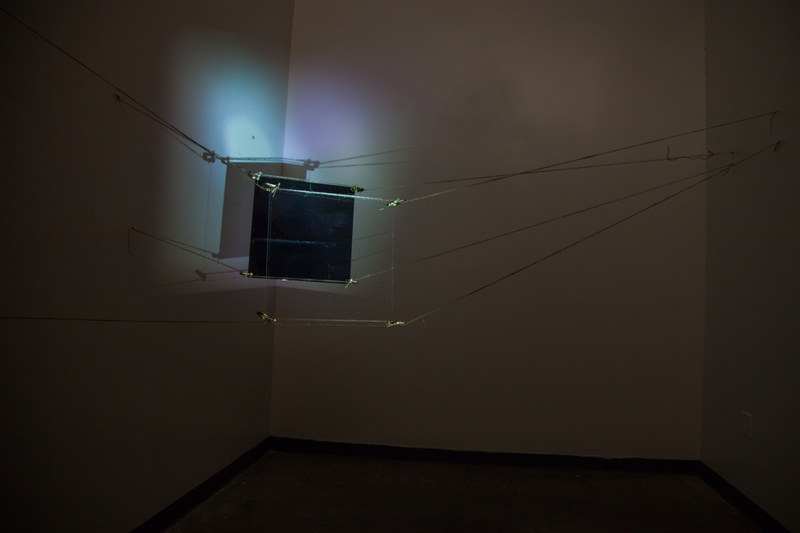 Viewers are able to physically navigate this single reflex system, with the aim to point to multiple systems of the their bodies to enable and dismantle a singular-reflex system. 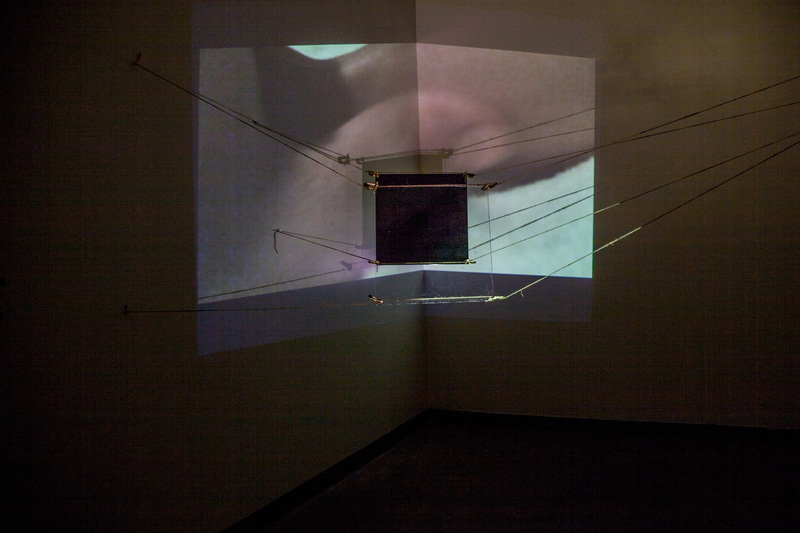 The final configuration 4,0 leading to a direct experience of the single-reflex planes obfuscation of bodily projection.